Joao Rodrigues (28), 31 Redbrae Avenue, Bo’ness, assaulted his mum during a row in the family home on September 23. The bully then threatened police officers who had been called to the scene and on the way to the police station challenged them to fight. 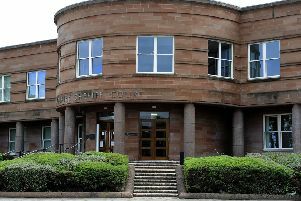 At Falkirk Sheriff Court Rodrigues had sentence deferred until April 19 to prove he can behave himself.